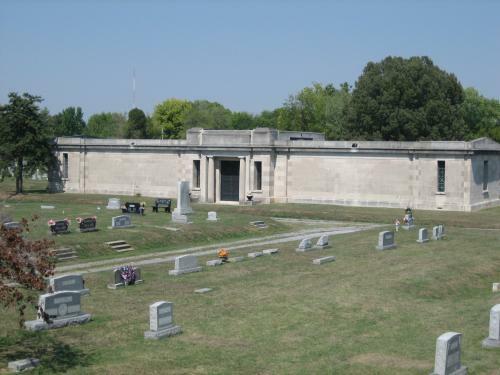 Oak Grove Cemetery is managed by the Paducah Parks & Recreation Department. The cemetery has an estimated 35,278 platted lots with more than 33,000 sold. The cemetery is divided into four additions: Old, New, Mausoleum, and Rushing. Feel free to call to set up appointments or tours or to inquire about services. Oak Grove Cemetery offers a free Wireless Hotspot location. Oak Grove Cemetery was established in 1847 with the purchase of 36 acres by the town's trustees for the price of $3.00 an acre. Paducah's first burial site was located where City Hall now stands. The City's early growth made it necessary to seek a new location for its cemetery. The site chosen would become Oak Grove Cemetery. The community fathers, hoping to create a gracious and serene sanctuary, sent to Scotland for John Porteous, a master landscaper, to design the cemetery grounds. Mr. Porteous became so enamored with the United States that he sent word back to Scotland requesting his wife and children to join him in Paducah. The town, honoring Mr. Porteous' dedication, made him the first sextant and built his family a cottage where the gatehouse stands today. Some deaths were recorded in 1852, but the Civil War put a stop to this. There are only scattered records from 1861-1911. In 1911, Kentucky passed a law that required all deaths to be recorded. Oak Grove Cemetery has internment books dating back to 1909. Mary Haley (1795-1841) is the oldest legible headstone found in Oak Grove. She is believed to have been buried at the City Hall location and reinterred in Oak Grove. If you have a relative buried at Oak Grove Cemetery and would like to share your family's story for others to read, please email the information to My Family's Story. The following people are profiled in the above document. Oak Grove Cemetery needs volunteers for the Sexton House, for clean up days in the cemetery, and to help with cemetery events. If you would like to volunteer, contact Lessa Wilson at 270-444-8508. Visit the McCracken County Public Library online or in person in downtown Paducah to find a wealth of information about local history and genealogy. The Kentucky Historical Society has a large database online that contains information about thousands of cemeteries throughout the State of Kentucky. Look under Research & Genealogy and Online Resources. Visit Cemetery Preservation Digital Collection for a direct link to the Kentucky Historical Society's digital database. The mausoleum in Oak Grove Cemetery is known as the West Kentucky Mausoleum. It was built in 1914 by the Southern Mausoleum Company of Nashville, Tennessee. The mausoleum is built to house 300 with slightly more than half of the crypts sold. The Ohio Valley Monument Company started renovating the mausoleum in November 2007. On November 12, 2008, a rededication ceremony was held inside the newly renovated mausoleum. Click News Release for more information. The roof has been repaired, marble has been replaced and repaired, electrical outlets have been added, and the ceilings and walls have been sanded and painted. The monument at the entrance of the mausoleum was unveiled at the dedication ceremony. It reads: West Kentucky Mausoleum; Dedicated to the Memory of Those Who Rest Within; Built 1914 The Southern Mausoleum Co. Nashville, Tennessee; Renovated 2008 Ohio Valley Monument Co. Paducah, KY; City of Paducah-Mayor Bill Paxton, Commissioners-Robert Coleman, Gayle Kaler, Buz Smith, Gerald Watkins; City Manager-Jim Zumwalt; Public Works Director-Earnie Via. The documents below are listed in alphabetical order based on the last name. There are two sets of documents: burials before the year 2000 and burials starting in the year 2000 until the present. The files were last updated March 4, 2019. 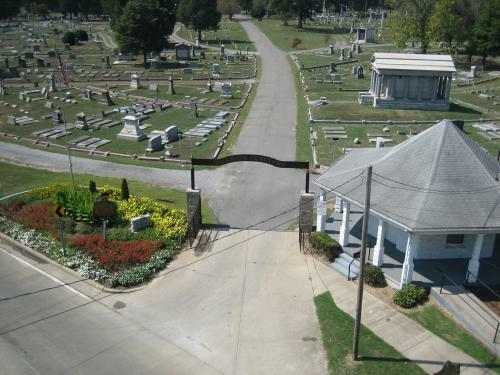 The Oak Grove Cemetery Map is a general map showing the four additions (Old Addition, New Addition, Mausoleum, and Rushing Addition) and section numbers. The Detailed Oak Grove Map is a hand-drawn map that shows details of each of the four additions.